Do you want to know about the WordPress? 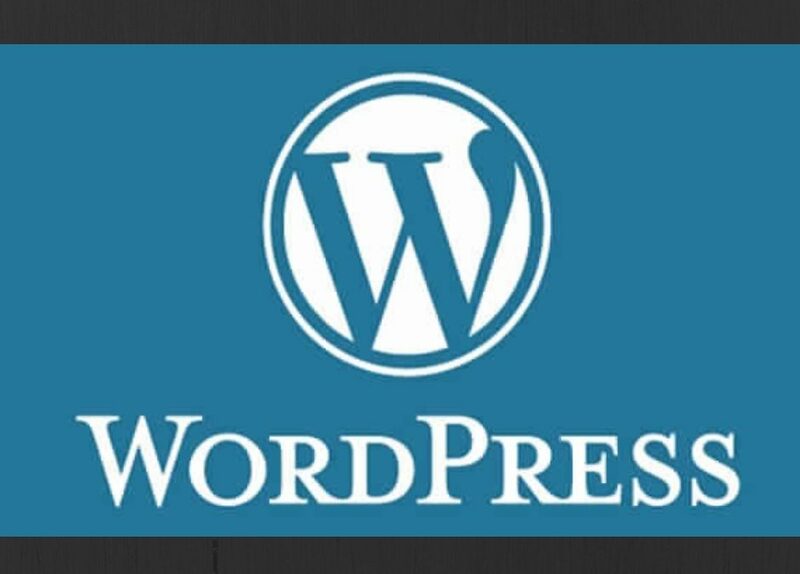 WordPress is an open source content management system it is based on PHP language and MySQL. It uses to make custom website designing in WordPress. It is one of the most famous content management system and blog publishing applications on the internet today. It is used by millions of individuals and organization around the world. All of the code, files and customization are free to use, so that it is an open source system. First, it is used as a blogging platform but nowadays it can use to own an e-commerce website, News website, and real-estate website etc. It features including template system, free plugin, and search engine friendly link structure etc. It helps to maintain content, image, video, designing, and development etc. It was released on 27/may/2003 by its founders Matt and Mike Little, as a fork of b2/cafelog software. B2/cafelog it was blogging software but 2003 matt and Mike little both deiced to upgrade this system and built a new platform on top of b2/cafelog software. In 2003 they both started a new journey that benefits millions of user around the world create lots of job opportunity, designers, developers, writer, and bloggers etc. It was the first version included a new admin interface, post editor and new templates etc. In 2001 it was b2/cafelog but in 2003 it was WordPress, the b2/cafelog is commonly knowns as b2 or cafelog. Conclusion: – it is an open source content management system used by millions of user around the world and it found by two-person Mike and Matt in 2003. It is basically a blogging platform and it helps to create a website, web pages and adding content, image, and video etc. It is modern software but its roots were born in 2001. The first version was 1.2 it introduced in May 2004 came with new plug-in features. This help to enabled users and developers to extend the functionality and features of it, by writing or giving suggestion their own plug-in and sharing them to the around the world. This version is firstly used to Website Designing in WordPress. This plugin helps to create a new functionally in web pages, adding new content and custom website designing in WordPress. It was free to open to all the community. Sub-categories:- In the version sub-categories introduced and it can be arranged hierarchically and infinite deep. Multiple categories combined with sub-category give most important taxonomy system. Thumbnail creation system: In this version, automatically creates thumbnails introduced in any size according to your need. The first version was 1.2 it introduced in May 2004 came with new plug-in features. This help to enabled users and developers to extend the functionality and features of Word Press by writing or giving suggestion their own plug-in and sharing them to the around the world. This Plugins helps to create a new functionally in web pages and adding new content. It was free to open to all the community. Thumbnail creation system: In this version automatically creates thumbnails introduced in any size according to your need. The dashboard widget system and the shortcode API. Introduced theme customizer and theme previewer. On 17 February 2005, the new version 1.5 came with pages, comments moderation system and default theme Kubrick and it was a completely new theme system. The main updates it theme system and static page, which was introduced in version 1.5. Next update was coming very soon in this version next update was came 1.5.1 on 9 May 2005. In 1.5 version has created a flexible theme system. This version is used to website designing in WordPress. New UI design: – The 2.0 version has been updated with a totally new look, which was very attractive and more intuitive. It used to make a very attractive custom website designing in WordPress. Webinar feature: – In this version, the user can host a webinar, and view scheduled webinars. On 31 January 2006, the 2.0.1 was released and on 27/October/2006 2.0.5 released and in this year Matt co-founder filed the trademark registration of Word Press. In 2007 A new UI, Widget, Spell check, and other new features were introduced and better atom feed support, the main speed optimization came out in version 2.2 on 16 May 2007. On 29 March 2008, a new 2.5 was released with a new UI design a web design company happy cog. The company Happy cog joined WordPress to help to design a new admin interface. In this version many new features such as shortcodes, automatic upgrading, and built-in plugin installation, sticky posts was introduced. In 2010 the WordPress Company co-founded by Matt Mullenweg transferred the ownership of the company to the Word Press foundation. This was a very proud and significant moment in the Word Press history because it was a nondependent company and it became a group of developers to continue this project. On 17 June 2010 version 3.0 was released, it introduced much custom option like the custom post, custom menu arrangements, and add new API for header and backgrounds. Twenty Ten is was the default theme in the version. This time people can create custom website designing in WordPress with custom features. It was two major and important steps towards as a Content management system. In 2011 – Version 3.1 and 3.2, 3.3 was released with a new post format and admin bar made their way into lighter and faster. “Twenty eleven” was the default theme on this year and in 2010 powerful e-commerce platform built. The user can easily make the e-commerce or an online store Custom website designing in WordPress. Custom gallery and without publishing content with the help of previews user can easily view of the web page. “Twenty twelve” defaulted theme of this version. In 2013 version 3.6, 3.7 and 3.8 were introduced with automatic update your website for minor releases. It created audio, video support dynamic and improved post locking. There were so many updates came in designing and development. “Twenty-fourteen” was defaulted theme of this version. In version 3.8 new WordPress admin interface was released and this new interface was responsive and it provides better user experience to users and developers on any device. In 2014 Version 3.9, 4.0, 4.1 the version introduced with some new features. In Version 3.9 it was released on 16-April-2014 it improved the media experience and it was a focus on improving the visual post editor, easy language change, and theme customizer. It introduced live widget and header preview, and now image can be directly dragged and dropped into the post editor. The next version was 4.0 it was introduced on 4 September 2014, with a grid view for media library and visual previews for content. “Twenty fifteen“was defaulted theme which released on 2014 and it helped to understand how to make custom website designing in WordPress. In 2015, Version 4.2, 4.3 and 4.4 were released with new main features to support emoji, and extended character support, added a responsive image, embeddable post, and laying down the infrastructure for REST API. In this year the most popular Woocommerce released it helped to build an e-commerce website in WordPress. The plugin help to making custom website in WordPress. “Twenty Sixteen” was the default theme in this year. In 2016 version 4.5, 4.6, and 4.7 were released with some new features added inline links, and formatting shortcuts, responsive previews in theme, content recovery by using browser storage etc. By the end of this year, it announced actively supporting HTTPs. In 2017, version 4.8, 4.9 were released It improved theme customizer, frontend preview link, and autosave revisions theme browsing and it improved menu function, widget to add audio, video, and image. By improvement in mean the look of custom website designing in WordPress look better. In 2018 version 5.0 was released with some new features blockchain editor. This is a new interface for adding, manipulating and editing the content in the WordPress website. By using this version people can easily create a flexible content layout with the help of blockchain based UI. All types of page components are available as modular blocks, this means you can be used from a unified block menu, image gallery dropped anywhere on a webpage and directly edit to the page as per user requirements. This is a very good system for both users and developers. This version 5.0 gives lots of opportunities to create custom web page or website. The main advantage of this version 5.0 is you can easily use this because the shape divider block is based on this version editor. There are some animated Gif is available to show that how to use the shape divider block add, edit a shape above which is exit right now. The second thing it is easy to create custom theme look of the website because of new blockchain editor functionality. Theme: – In WordPress, we have many many themes you can install and switch among different theme. Themes allow users to change the designing and function of the Website without changament in coding parts. Each website requires theme to present the content, image, and video etc. Theme designed using with WordPress Standards and PHP structure, CSS and HTML. You can directly installed themes from an admin dashboard. Themes take content and stored data of your website and display it in the search engine. There are many features and functions are available in themes. It helps to make custom website designing in WordPress. Themes are two types one is free and second one is paid, there are main differences in the free theme you have some limited rights related to customization but in the paid theme, you have lots of options to do customization in your website to look better.